To celebrate Maestro James Levine’s 40 years at the Metropolitan Opera, American Masters presents James Levine: America’s Maestro, premiering nationally Wednesday, June 1 at 8 p.m. (ET) on PBS (check local listings) as part of its 25th anniversary season. Exploring the conductor’s life and current work, the one-hour documentary film captures the essence of one of classical music’s authentic giants. Looking back at creative milestones since his 1971 Met debut with Tosca at the age of 28, the film reveals how Levine’s unparalleled musicianship and singular teaching and performance styles make his relationship with the company unique in today’s music world. American Masters provides an insider’s view into how Levine transformed The Metropolitan Opera’s Orchestra into one of the great ensembles, elicited legendary performances from leading singers and nurtured new generations of artists. Award-winning filmmaker Susan Froemke follows the Met Music Director during coaching sessions, rehearsals and performances at the world’s leading opera house over the course of the 2009-10 and 2010-11 seasons. James Levine: America’s Maestro features intimate scenes between the maestro and his longtime collaborator Plácido Domingo – from rehearsals in the 1970s to 2010 as they mount Verdi’s Simon Boccanegra. Witness Levine leading intense rehearsals with the MET Orchestra as they prepare for their first performance of Beethoven’s 5th Symphony at Carnegie Hall, and poignant coaching sessions with aspiring young singers from the Lindemann Young Artist Development Program (LYADP), including segments from this year’s The Bartered Bride, LYADP’s first collaboration with The Juilliard School. Interviews include Domingo, principal musicians from the MET Orchestra, LYADP artists, former Met General Manager Bruce Crawford (1985-1989), Met Artistic Administrator Jonathan Friend, and the maestro himself. 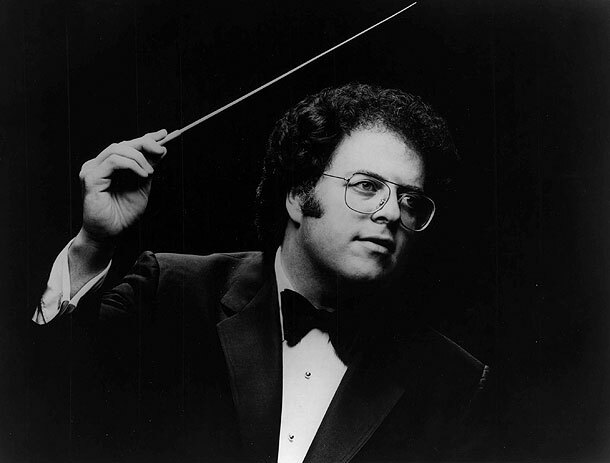 “It’s simply indisputable – in his 40 years at the Met, James Levine has created and sustained one of the greatest orchestras the world has ever known,” says Susan Lacy, series creator and executive producer of American Masters, a seven-time winner of the Emmy® Award for Outstanding Primetime Non-Fiction Series. The series is a production of THIRTEEN for WNET New York Public Media. WNET is the parent company of THIRTEEN and WLIW21, New York’s public television stations. For nearly 50 years, WNET has been producing and broadcasting national and local documentary and other programs to the New York community. Tracing Levine’s Cincinnati beginnings as a musical prodigy, the film shows how his gifts as a pianist informed his genius as music director. A self-described “teacher-conductor,” Levine believes that “dramatic intensity” and “lyricism” are two defining characteristics of the MET Orchestra. 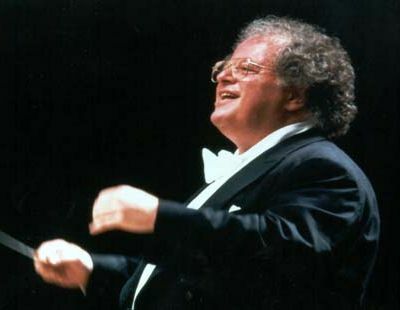 As players attest to his precision, passion and extraordinary level of artistic responsibility, James Levine: America’s Maestro examines the four decades during which Levine has introduced modern works to the Met repertoire, developed the strength of the company’s orchestra and chorus, and personally coached talent like Domingo in definitive roles like Otello. Archival performance segments include the latter in 1979, Puccini’s La Bohème starring Luciano Pavarotti in 1977, Kurt Weill’s Rise and Fall of the City of Mahagonny in 1979, and a 1988 rehearsal of Ariadne auf Naxos. Immediately following the American Masters June 1 PBS premiere of James Levine: America’s Maestro, THIRTEEN’s Great Performances at the Met presents John Adams’ Nixon in China (9 p.m. ET, check local listings), conducted by the composer and staged by internationally acclaimed director Peter Sellars. James Levine: America’s Maestro is a production of Susan Froemke in association with THIRTEEN’s American Masters for WNET. Susan Froemke is director and producer, Douglas Graves is producer and Kathleen Dougherty is editor. Peter Gelb is executive producer. Susan Lacy is the series creator and executive producer of American Masters. American Masters is made possible by the support of the National Endowment for the Arts and by the Corporation for Public Broadcasting. Additional funding for American Masters is provided by Rosalind P. Walter, The Blanche & Irving Laurie Foundation, Rolf and Elizabeth Rosenthal, Cheryl and Philip Milstein Family, Jack Rudin, The André and Elizabeth Kertész Foundation, Michael & Helen Schaffer Foundation, and public television viewers. Funding for this program was provided by the Diller-von Furstenberg Family Foundation with additional support from Annette Merle-Smith and Miriam and Sam Blatt.